See why Debra Messing loves Coolsculpting! Dr. Deborah Longwill is certified in both Cosmetic Dermatology and General Dermatology. REDUCE UNWANTED FAT WITHOUT SURGERY! If you’ve thought about having a fat loss surgery, you are not alone. Four out of five adults say they would like to lose weight but would like to avoid surgery. Dr. Longwill and her clinicians understand this dilemma and have provided patients with a safe, effective way to reduce unwanted fat through CoolSculpting. Sometimes diet and exercise alone are not enough to fight that stubborn fat. If you are looking for the best way to get reduce that fat and fit into your favorite pair of jeans again, coolsculpting may be the right solution for you. CoolSculpting is lasting, safe, and effective. 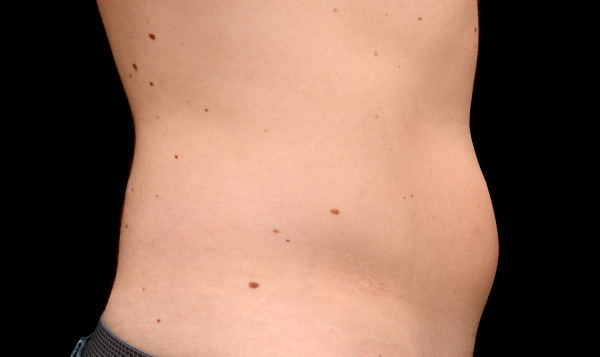 More and more patients are turning to Cool Sculpting to reduce unwanted fat. In only one year, more than 400,000 treatments were performed. The CoolSculpting fat freezing procedure is FDA-cleared and contours the body by safely and effectively freezing away unwanted fat for good without surgery or downtime. Dr. Deborah Longwill DO, FAOCD has served South Florida community in private practice since 1992. She was one of the first dermatologists in Miami to use lasers for skin rejuvenation and perform tumescent liposuction. Dr. Longwill is one of the best dermatologist Miami has seen in ages. Using the latest technology and therapies she is able to provide the best medical treatment and care to you and your family. If you’d like more information on our services, please call our office at (305) 901-5777. Dr. Longwill is one of the best dermatologist Miami has seen in ages. Using the latest technology and therapies she is able to provide the best medical treatment and care to you and your family. If you’d like more information on our services, click here to make an appointment or call (305) 901-5777 for a free consultation!